What do you do now? Wait for a “STAT” chest X-ray? Place a chest tube on the side with decreased sounds and ask questions later? Or do you grab your bedside ultrasound and perform a quick, focused assessment of vital structures? Currently in a case like this, many may elect to go for a handy ultrasound, as the use of point-of-care ultrasound (PoCUS) is now firmly established as a diagnostic adjunct in the typical emergency physician’s toolbox. This has gone hand-in-hand with increasing degrees of training in PoCUS. 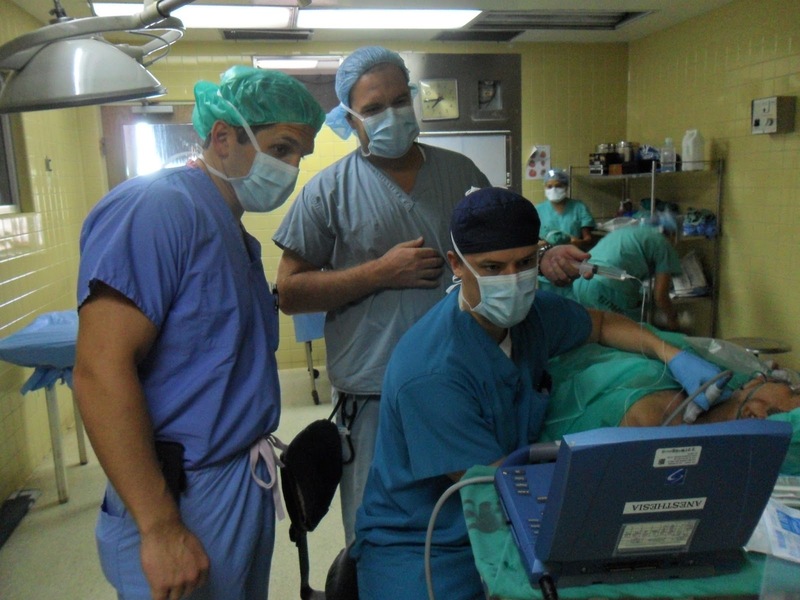 Fellowships and other certifications in ultrasound exist for those who wish to pursue them. That, coupled with the explosion of Free Open-Access Meducation (FOAMed), has produced great articles and resources such as 5MinSono, where Drs. Jacob Avila and Ben Smith demonstrate the many exams that can be completed at the bedside in short video tutorials. Another great off-shoot of PoCUS is the development of protocols for the detection and identification of pathology. Examples of such protocols are BLUE/FALLS, RUSH, and eFAST. These are evidence-based aides that increase our diagnostic capability and decrease radiation exposure for our patients. As I go through residency training, I have noticed that some programs have dedicated ultrasound blocks, others offer ultrasound electives, and still others have no dedicated ultrasound curriculum but build that training into regular ED time. The ACGME recently added “emergency department bedside ultrasound” to the list of required procedures an emergency medicine resident must have documented in order to graduate. The minimum number of studies is 150. This can be found at the ACGME website, under Portals and FAQs for EM. Additionally, medical schools such as UC-Irvine are proposing four-year ultrasound curricula for their medical students. Beginning with an interest group and then a rotation for fourth-year medical students, this gained so much popularity at UC-Irvine that faculty and administrators noticed and formulated a dedicated longitudinal curriculum for those interested. Developments like these are encouraging and exciting for an emergency medicine trainee like me to see, as a hopeful future leader in our field and in medical education. While having minimum requirements and dedicated rotations is a good start, using ultrasound and PoCUS on a daily basis is where true proficiency comes from. I envision of a future in which all emergency physicians are experts in PoCUS, and interpreting ultrasounds is as routine for us as reading an EKG. 1. Jang et al. Bedside ultrasound for the detection of small bowl obstruction in the emergency department. Emerg Med J. 2011 Aug;28(8):676-8. doi: 10.1136/emj.2010.095729. Epub 2010 Aug 22. 2. Bowdle, Andrew. Vascular Complications of Central Venous Catheter Placement: Evidence- Based Methods for Prevention and Treatment. Journal of Cardiothoracic and Vascular Anesthesia. Vol 28, No 2 (April), 2014: pp 358–368. 3. Lichtenstein. FALLS-protocol: lung ultrasound in hemodynamic assessment of shock. Heart Lung Vessel. 2013; 5(3): 142–147.